Because of the high value and rarity of certain jewelry, some people like to store their jewelry in a safe when not in use. If you have individual gemstones, a soft pouch is good for keeping them from coming in contact with other hard surfaces. 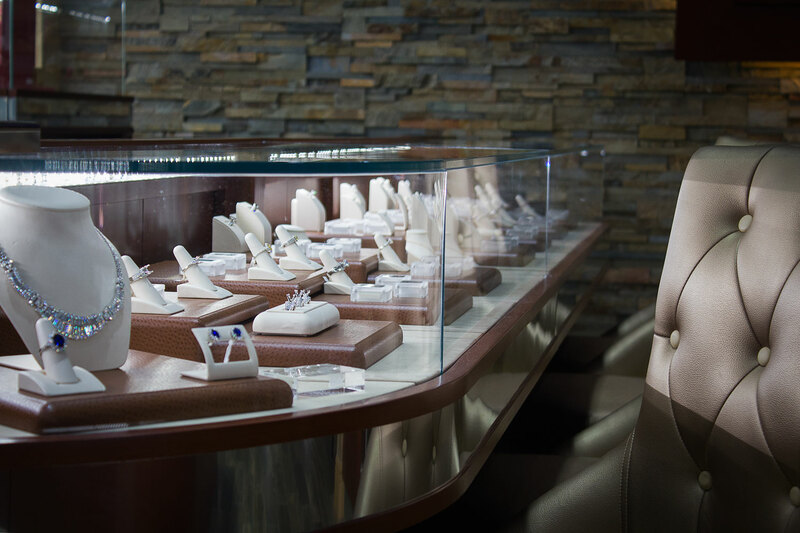 Store silver jewelry and gold-plated jewelry in a cool, dry place, preferably in a soft piece of felt or cloth. Bridal jewelry, such as engagement rings and wedding bands are typically worn daily, and can appear like they’ve lost their sparkle if not cleaned on a regular basis. Lotions put film on diamonds and reduce their shininess. Don’t wear diamond jewelry while doing rough work. Avoid chlorinated pools and hot tubs. Avoid touching diamonds with your fingers, as smudges can affect a diamond’s luster and fire. Gemstone jewelry should be cleaned with a soft, damp cloth. With gemstone jewelry, you should generally avoid sudden temperature changes. If you have a very active lifestyle, you may want to refrain from wearing your gemstone rings and bracelets throughout the day. Some gemstones are very brittle, especially emeralds, whereas rubies have a hardness second to that of the diamond (which is 4-5 times harder).